Join SLR Consulting at a workshop we are hosting as part of RWM 2017 on the morning of the 14th of September. 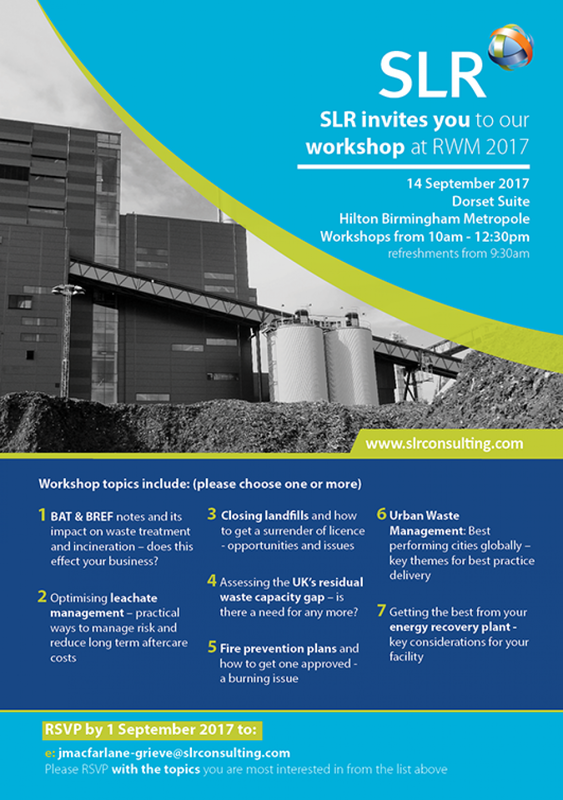 This will be held at the Hilton Birmingham Metropole with workshops beginning from 10am. Lead by experts in their fields, the workshop will cover a range of the most popular topics as selected by you. To reserve your spot and influence the topics discussed on the day, please RSVP to jmacfarlane-grieve@slrconsulting.com stating the corresponding number to the topics below that interest you most.